About: Born in February 1970 in Charleston, South Carolina, Shepard Fairey lives and works in Los Angeles, CA. With his unique style, heavily influenced by (criticizing) advertising and propaganda, Fairey became one of the most influential artists of our times. In 1989, undergraduate at Rhode Island School of Design, Fairey was working in a skate shop in Providence. While there, he designed a sticker incorporating an illustration of wrestler Andre the Giant, first with the slogan “ANDRE THE GIANT HAS A POSSE” and later transforming to a design featuring just his face and the bold tagline “OBEY.” The stickers experienced initial popularity among the skater subculture in Providence, but they were quickly posted all over urban centers of the East Coast. OBEY campaign was an experiment in phenomenology: the study of experience and consciousness. Since urban public spaces are usually dominated by advertisements, the artist causes curiosity by installing visual media which the product or motive is not obvious. Fairey became more widely known in the 2008 U.S. presidential election, with his Barack Obama “Hope” poster. Although Fairey rose to fame for illicitly papering cities around the world with his signature stencils, the artist says he hopes his iconic Obama posters will inspire more than just an underground revolution: he wants to infect the masses with the spirit of change. 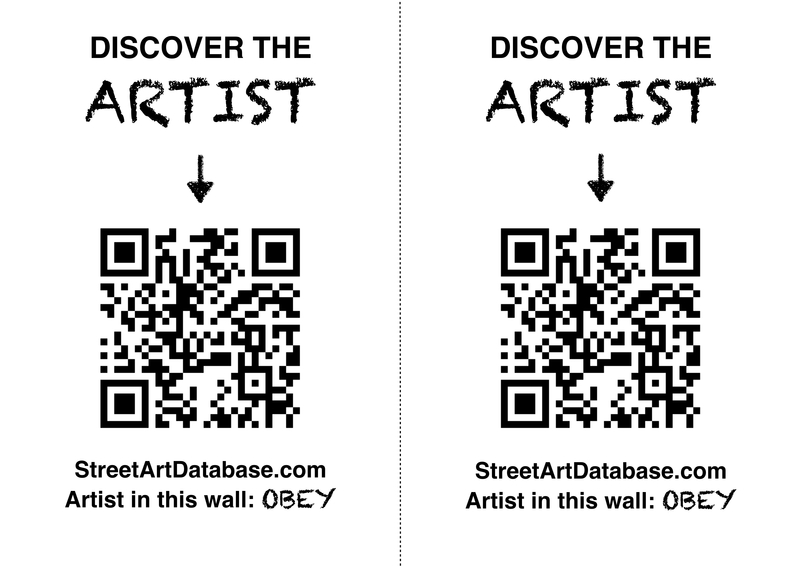 PRINT CODE: help tagging OBEY in the streets of your city! Posted in graffiti, murals, poster wheatpasting, stencil, stickerTagged graffiti, Obey, poster, sticker, street artBookmark the permalink.